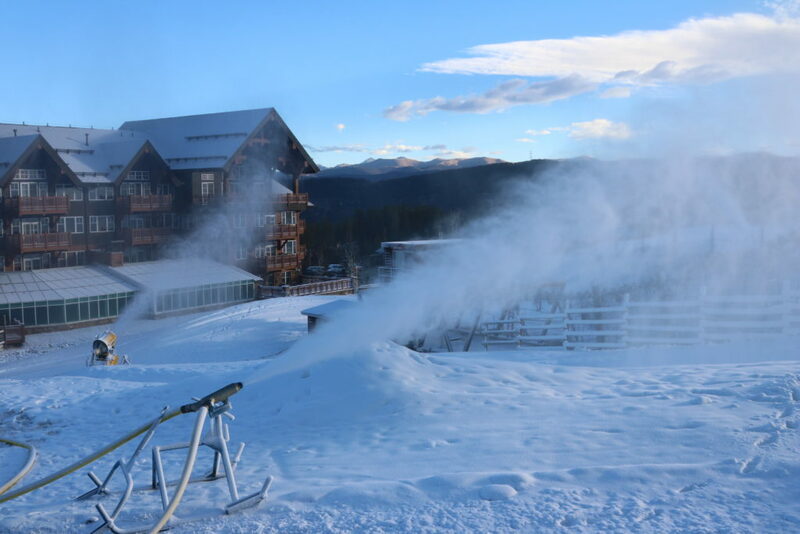 With favorable overnight temperatures and a successful two weeks of snowmaking in Summit County, Keystone and Breckenridge Ski Resorts are excited to welcome the beginning of the 2016-2017 winter season on Friday, Nov. 18 and Saturday, Nov. 19 respectively. Vail Mountain, originally slated to open Friday, Nov. 18, has set a new opening day of Friday, Nov. 25. Beaver Creek Resort is still scheduled for a Wednesday, Nov. 23 opening day, conditions permitting. Skiers and snowboarders will very soon enjoy all four world-class Colorado resorts, and in the meantime, guests can look forward to getting in their first turns of the season at Keystone on Friday, Nov. 18 and Breckenridge on Saturday, Nov. 19. Breckenridge will open at 9 a.m. on Saturday, Nov. 19. 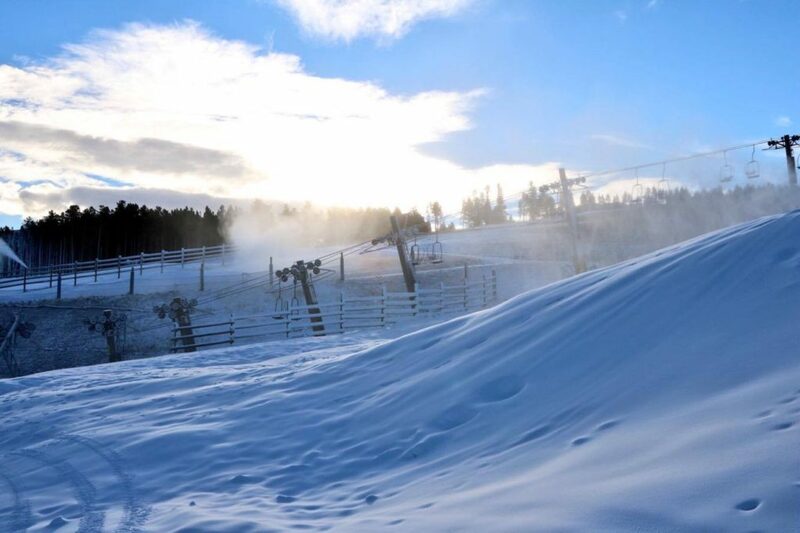 Colorado SuperChair will offer access to skiing and snowboarding on Peak 8. Complimentary French Toast Sticks will be provided to guests from Ski Hill Grill, while supplies last and DJ DC will be spinning music at the base of Colorado SuperChair. The free BreckConnect Gondola will be running from town with complimentary parking on both Saturday and Sunday at the North and South Gondola lots. 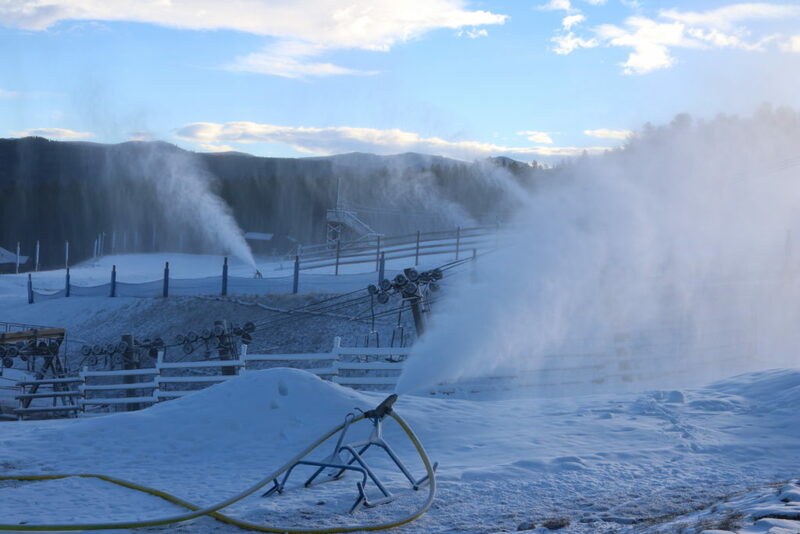 Both Keystone and Breckenridge mountain operations teams will continue to work towards new terrain openings as soon as possible, and all four Colorado resorts will be taking advantage of any and all opportunities to make snow in order to provide the best conditions possible for guests. Vail Resorts requires all skiers and riders to observe all posted signs and warnings. Closed trails may contain hazards due to limited natural snow coverage and snowmaking operations. Please keep off closed trails and out of closed areas for safety reasons. 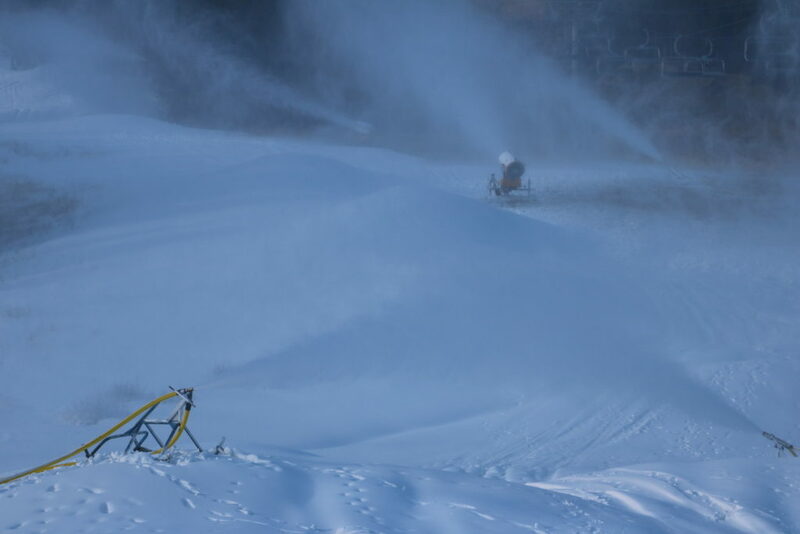 Our amazing snowmaking team has taken advantage of the cold temps during the night and early morning over the past few days. We’re pushing closer to Opening Day as temperatures continue to lower. OpenSnow has called for snow to fall this Thursday. “Our full attention is now on next Thursday, November 17th as we’ll finally see a decent storm move into Colorado. This system doesn’t look overly impressive (yet) but that can always change over the next few days. At this point we are looking at about 3-6 inches for the I-70 mountain corridor,” says OpenSnow Meteorologist Sam Collentine. Until then keep up those snow dances and let ULLR know that you want snow! We’ll update this page as soon as we have further information on Opening Day. Keystone Resort announced today that it will open for the 2016-17 ski and snowboard season on Friday, Nov. 18 and Breckenridge Ski Resort will open soon after. OpenSnow.com meteorologist Joel Gratz expects the dry weather to continue over the coming days, followed by decreasing temperatures later next week. “The 10-day forecasts show a storm hitting Colorado on or about Thursday, November 17th,” said Gratz. 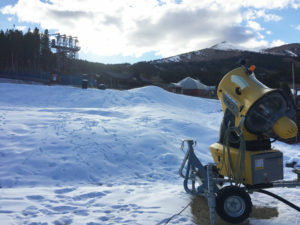 For more information and updates about Keystone and Opening Day, visit www.keystoneresort.com/openingupdate. For more information and updates about Breckenridge and Opening Day, visit blog.breckenridge.com/2016/11/08/opening-day-update. 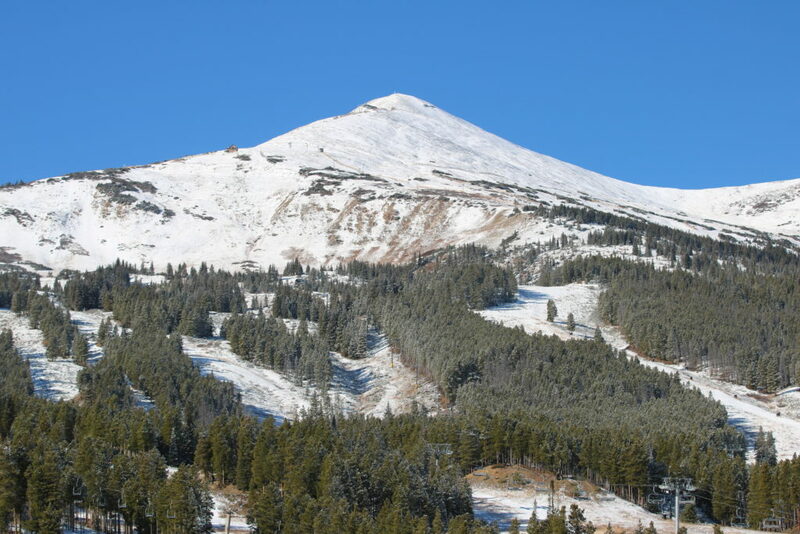 Keystone and Breckenridge Ski Resorts announced today the decision to delay both resort’s opening days on Friday, Nov. 11. 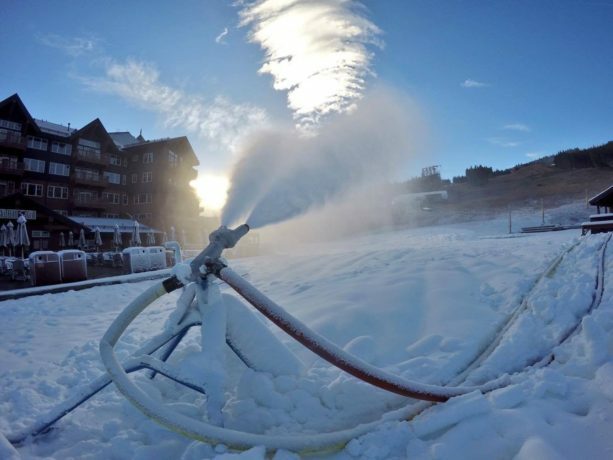 Both Breckenridge and Keystone will announce a new opening day as soon as resort officials feel confident they can open with a high-quality snow surface. Snow forecasters from OpenSnow.com note cooler weather should persist for the next five to 10 days, with a chance for precipitation after Nov. 15. “We should finally see the door open for stronger storms across the western US around November 18,” says meteorologist Sam Collentine. We will be updating this page with more information and updates about Breckenridge and Opening Day, so make sure to check here. Although Opening Day is delayed, you can still celebrate the arrival of Winter with at Wake Up Breck on Thursday Nov 10. Join us for a free limited Wake Up Breck mug and a cup of coffee on us. You can stop by one of these local coffee houses to participate: Starbucks, Clint’s Bakery & Coffee House, Cool River Coffee House, Daylight Donuts, The Coffee Depot at Main Street Station, Cuppa Joe’s, Kava Café, The Crown, Cabin Coffee of Breckenridge. Wake Up Breck! will be back for its 14th year Thursday, Nov. 10, 2016! During this annual community tradition, Breckenridge Ski Resort will hand out FREE commemorative coffee mugs and will buy you a free cup of coffee to get you and the town ready for ski season. Thursday’s event begins bright and early at 7 a.m. until all mugs run out.